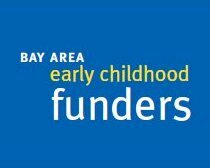 The Early Childhood Funders (ECF) is an informal affiliation of Bay Area foundations, public funders and private donors focused on improving grantmaking effectiveness in the early childhood field. Membership in ECF is voluntary, members meet three to four times a year to broaden their knowledge of the early childhood field, share information, engage in dialogue, and participate in joint funding activities to improve the lives of young children and their families. General information about ECF and its major projects, as well as resources and reports are available on this website as well as information about the 1997-2002 Quality Child Care Initiative. ECF is a fiscally sponsored project of Community Initiatives. See below for an ECF brochure and membership list. See below for a list of reports, articles and other early childhood resources. Click here for the PDF brochure about the Early Childhood Funders. Click here for a membership list. For more information about the Early Childhood Funders please email us at earlychildhoodfunders@gmail.com or call 415-733-8576. Help support the Early Childhood Funders by offering a donation through the Community Initiatives website. 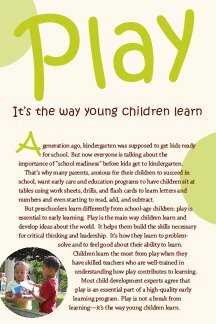 The Early Childhood Funders (ECF) has produced a publication Play: It's the way young children learn on the importance of play for early learning. A limited number of copies are available for free. The pamphlet is available in six languages. Play: It's the way young children learn is an easy-to-read pamphlet intended to help parents and teachers increase their knowledge of the importance of play for early learning, provide resources for parents and early care and education teachers to better support the development of young children, and to educate parents and providers that play is not a break from learning--it is the way young children learn. The pamphlet is available in English, Spanish, Chinese, Vietnamese, Korean and Farsi. 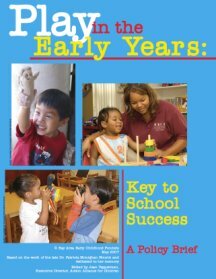 To request pamphlets, please contact the Early Childhood Funders at earlychildhoodfunders@gmail.com or call 415.733.8576. An ECF Messaging/Policy committee was established in 2010 to explore the development of a messaging campaign to promote the value and importance of early childhood development and to unify early childhood advocates. The committee held a facilitated convening in March 2011 with 12 different ECE advocacy groups and gained their consensus on the value of unified messaging to promote early childhood development among policy makers and the general voting public. In addition, the committee conducted a review of the early childhood literature to identify common themes, and interviewed 23 early childhood leaders representing a variety of points of view and organizations, to get their input on the themes identified. ECF's objective was: to develop a long-term media effort to communicate to voters the importance of, support for and investment in early childhood development and to unify and expand the field of advocates supporting this messaging campaign. ECF continued to explore the role it can play to increase support for early childhood development considering a number of options. The ECF Messaging Committee hosted two convenings in 2016 and 2017 with communications specialist Anat Shenker Osorio to explore the messages that we use and how this helps or hinders making the case for California's children. Both trainings included ECF members and invited representatives from local and statewide children's advocacy groups. At the trainings we explored the "frames" that we use to promote our vision, how people process information and communicate, and how we can better shape our messages to influence policy makers and the public. A comprehensive Language Analysis Messaging Report and a shorter Messaging Brief are available below. 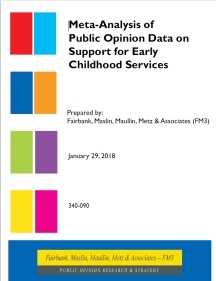 ECF also hired FM3 to conduct a Meta-Analysis of the various local and statewide polls that have been conducted on subjects related to support for early childhood programs and funding. The primary focus of the analysis was to identify consistent threads in messaging on early childhood issues. The report, Meta-Analysis of Public Opinion Data on Support for Early Childhood, is available. If you are interested in learning more about this effort or in joining us, please let us know at earlychildhoodfunders@gmail.com. The Early Childhood Funders became interested in the impact of real and potential immigration reform efforts on children and their families  specifically how to address legal issues and the impact of trauma on children. Following two presentations on these issues, ECF has compiled a list of resources that we hope will be helpful to providers and parents. The resources are mostly available in English and Spanish (and some include other languages as well) and contain information on how to deal with ICE, sample family preparedness plans, resource guides, videos, and other helpful information. Following is a list of early childhood resources that have been shared with ECF members over the years. In addition, information is provided about the 1997-2002 successful joint funding effort – the Quality Child Care Initiative. What is linked administrative data?